CONCERT ANNOUNCEMENT: Big Church Night Out at JQH on 12/1. 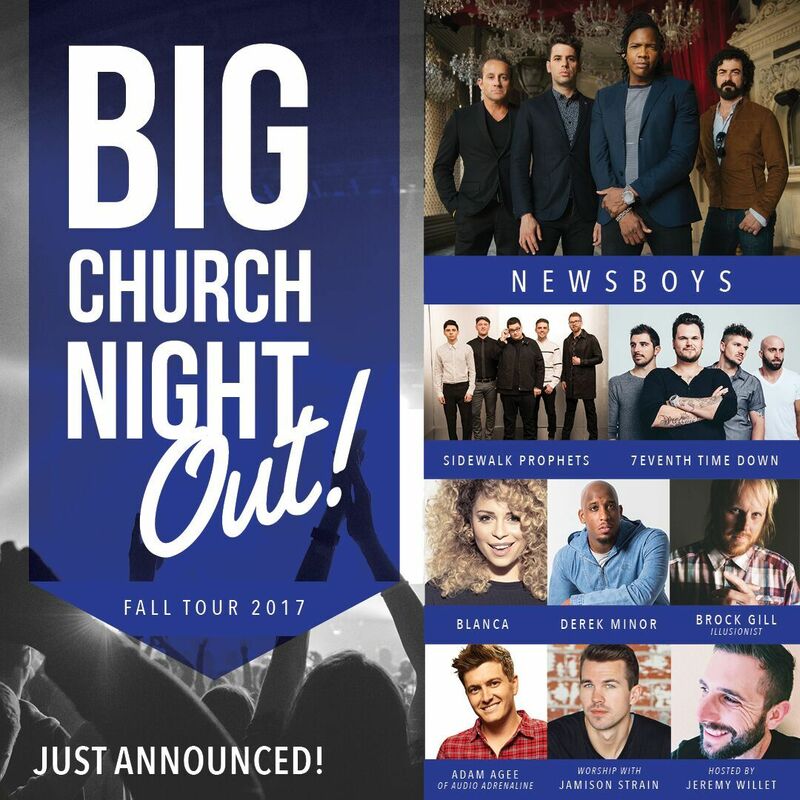 Big Church Night Out December 1, 2017 at 7:00 PM Springfield, MO - JQH Arena Nashville, Tenn. (July 5, 2017) Premier Productions and GRAMMY® nominated Newsboys announce the all new Big Church Night Out Tour. With nearly fifty shows across the U.S., each night will foster a time of worship, ministry and unity. Joining the tour will also be Sidewalk Prophets, 7eventh Time … [Read more...] about CONCERT ANNOUNCEMENT: Big Church Night Out at JQH on 12/1.